We have been playing Warhammer CE for some time now. Unfortunately there was no program for the creation of armelists for a very long time. With the ArmyCreator, this program now exists. 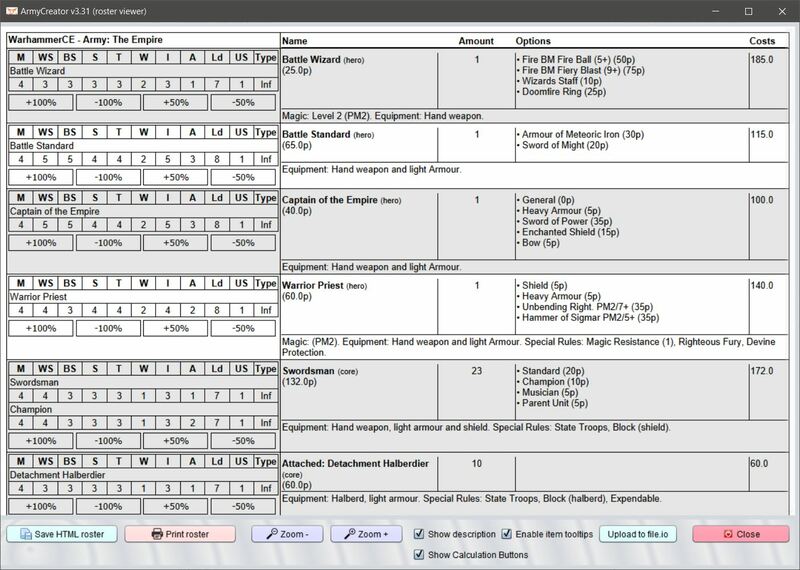 Build your army lists at a breathtaking speed. ArmyCreator supports you in the calculation of the points (including Nx factor) and gives hints when site rules were disregarded. 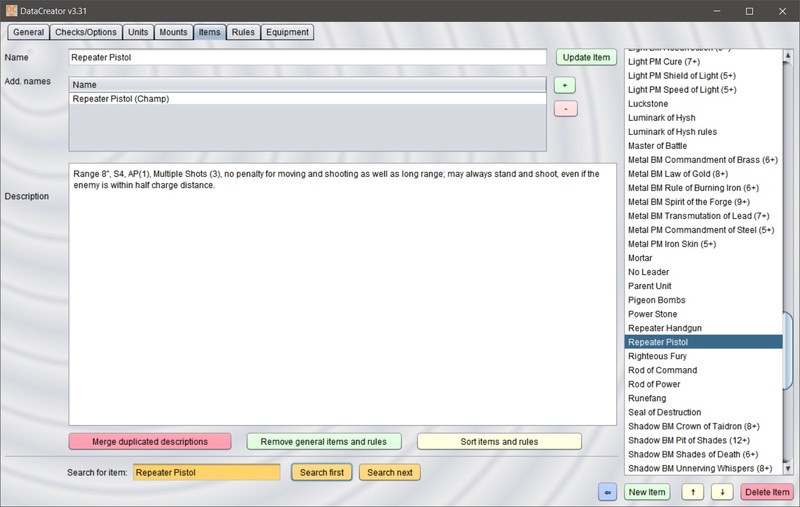 The generated armelists can easily be printed out, saved as HTML files or as text files. 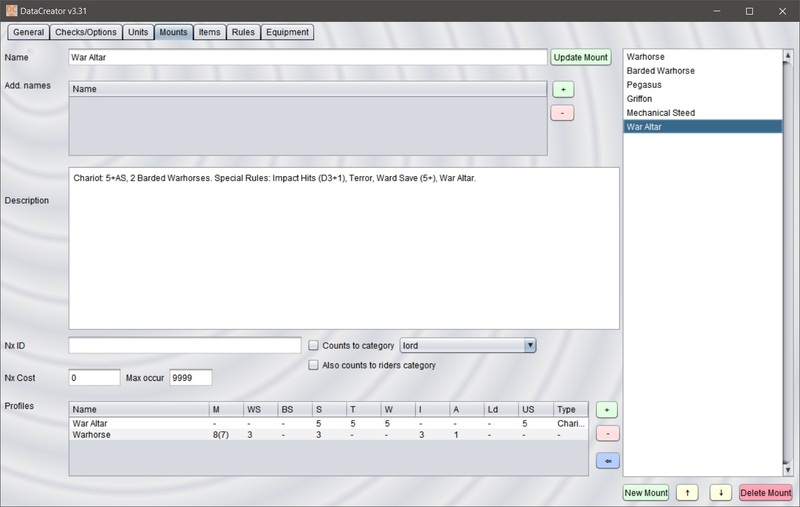 Updates (both the ArmyCreators itself and the data files) can be done with a few mouse clicks directly on the program. 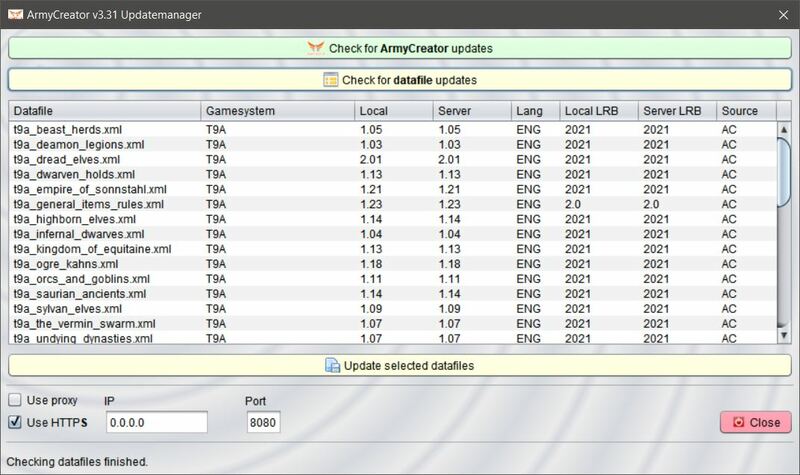 There is another program for the ArmyCreator. 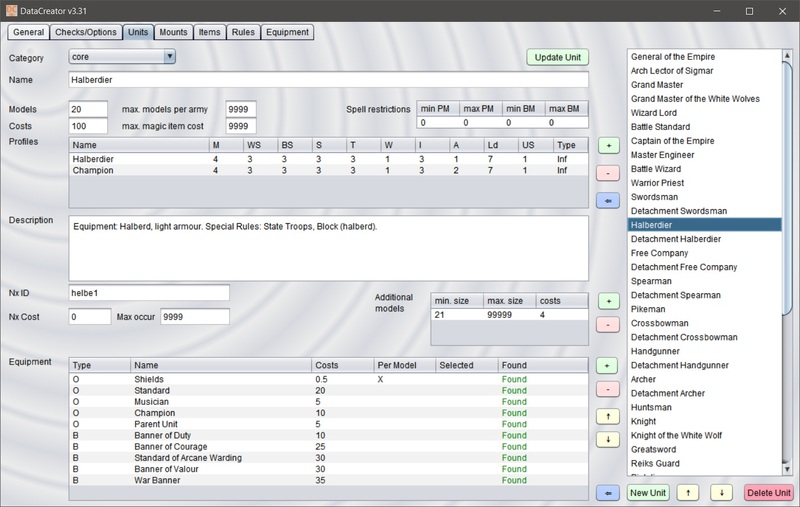 It gives you the possibility to easily create data files for the ArmyCreator or modify existing ones. 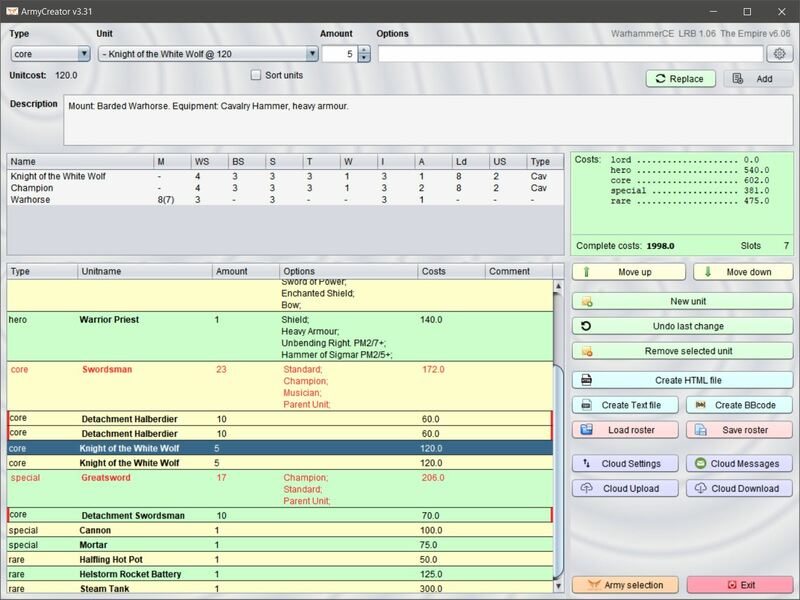 Through the DataCreator no one has to pay attention to the XML structure of the data files, they can be easily generated and modified in a uniform interface. 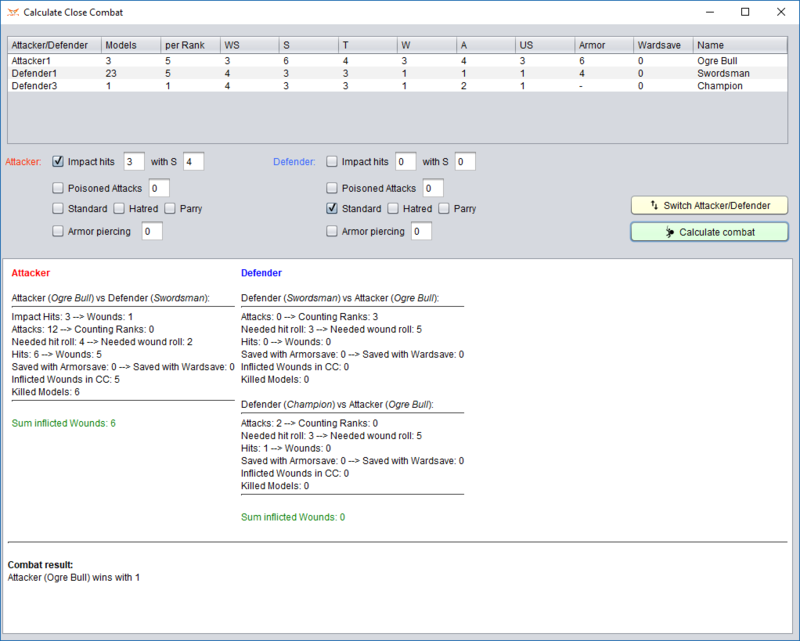 Like the ArmyCreator, the DataCreator also includes an update function. 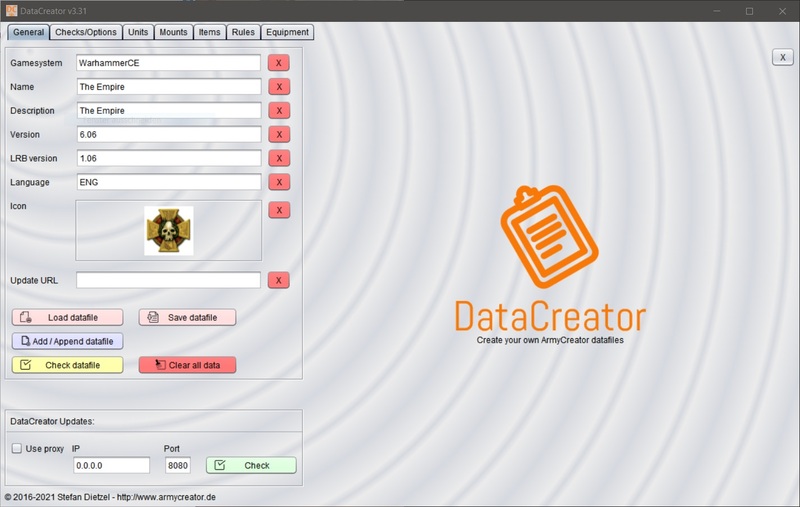 The DataCreator is also included in the ArmyCreator package. The DataCreator can also be downloaded additionally. 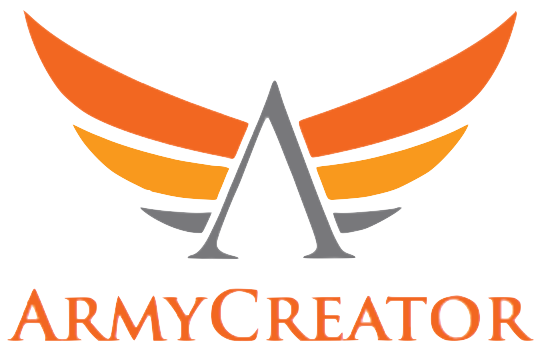 The ArmyCreator is completely free and will continue to be a non-commercial project. 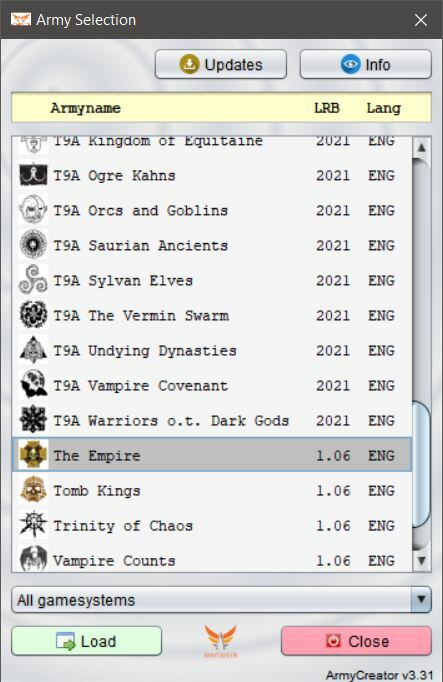 If you would like to help the ArmyCreator project, please post any errors found in support forums as well as suggestions for improvement and tell your friends of WarhammerCE and the ArmyCreator. This project depends on your support and feedback. In the download area you will also find a link to the current WarhammerCE rules. Required for running ArmyCreator and DataCreator is an installed Java Runtime Environment (JRE) 8+. You can download Java 8 from this link. With installed Java 8 you can run ArmyCreator and DataCreator under many operating systems (Windows, MacOS, Linux, ...). This project has been created by Ovaron76 for WarhammerCE.